Has anyone installed the new 3.9.5 build 1734 beta and has the same problem as greyghost here? I can't seem to reproduce this. In situation 1 - enable after start: as soon as I switch to a different profile, the error: "Access violation at address 00BEA168 in module 'dvdpro.exe'. Read of address 00000000" pops up. In situation 2 - start with enabled: the error pops up immediately. I have a database which was restored from a 3.9.1 backup with the current 3.9.5 build as well as a small test one which is based on the build 1926 beta. Both exhibit the same behavior. As I wrote in beta testing forum, I have the same problem. Ken wrote that he changed the plugin interface. To know exactly what he did could help to solve the problem ?? A point that may have some importance: I have totally stopped using 3.9.1 for two monthes, so everything I did with your plugin from the beginning was with 1726 beta with a 1726 database. installed the latest release of EF you posted in the other thread, updated to the latest beta of DVDP, but the plugin doesn't show the contents in the appropriate window any more. The ticked feature boxes can be seen saved when opening the FE main program under "DVD" though. Update: When I click VIEW - HTML Windows - Edit I get the error "Variant is not an array" - the edit windows opens then though but on leaving with OK the error "Unable to write to registry" appears twice. I can reproduce it and I think the beta is not yet stable enough to be used with plugins. With 1736, plugin works, html windows editing works, but I still have a problem to display html window. Is it a plugin problem or a program problem ??? I got the same as surfeur51. Also, as I have installed the plugin and copied the display HTML on a second computer, where is the naming for the slots saved, as I get a completely different layout here? First off, I have the same problem. My plugin is not called, so it seems to be a bug in 1736. Yeah that is because since the invention of HTML in 1992 and the Browser Wars in the 1990s browsers are very generous in their HTML interpretation and try to best-guess what the author meant to say. 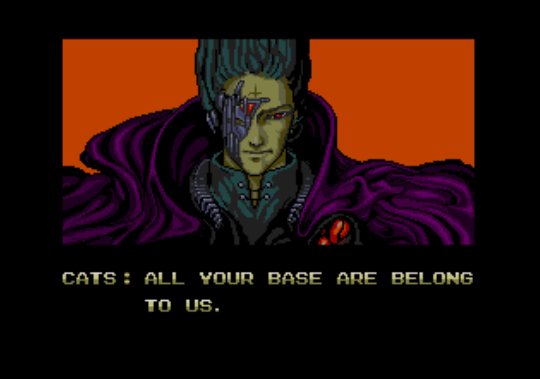 It's like me saying "All Your Base Are Belong to Us" and you will do your best to understand what I was trying to say. You need to export the Plugin settings in the plugin window and re-import it on the other computer. Since the tag names itself are not part of the profile, they can't be stored in the Invelos database.